APARTAMENTOS PENTHOUSE CON LIVING COMEDOR, TERRAZA AL MAR CON PARRILLERO, 4 DORMITORIOS, 4 BAÑOS Y GARAGE. 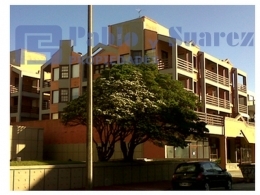 APARTAMENTOS TERRAZAS BALCON,COCHERAS VIGILANCIA MUCAMAS LAUNDRY,GYM,SAUNA SECO PISCINA CLIMATIZADA Y PARRILLAS. APARTAMENTOS SUITES CON TERRAZAS INDIVIDUALES , PARRILLERO PRIVADO, CALEFACCION POR LOSA RADIANTE INDIVIDUAL, SERVICIO DE MUCAMA. PISCINA, PARRILLEROS COMUNES, GIMNASIO. APARTAMENTOS AMBIENTE GRANDE CON KITCHINET,BAÑO A NUEVO ,DORMITORIO. APARTAMENTOS LIVING COMEDOR MUY LUMINOSO, COCINA, 2 DORMITORIOS, 2 BAÑOS Y GARAGE.